'Tis the season for new foot candy! There are great deals to be had all over the place. What do you have your eye on for summer? 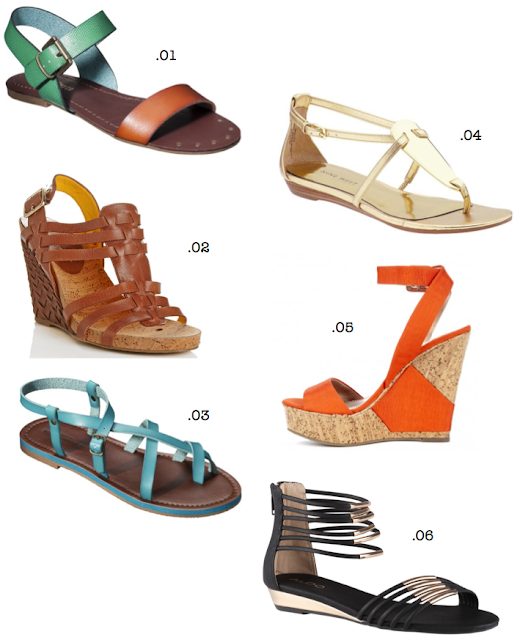 Gladiator, metallics, wedges, or colorblock sandals? I think I'll take one of each. Kidding (kind of).